Weightlifting. A sport where there is no way to correct from error, it is a sport where you have to remain errorless throughout the duration of your performance in order to achieve maximum potential for the competition at hand. This is not an easy task by any means. Its the same as walking a tight rope…Kind of. the only difference is your walking the tightrope with a maximum weight in your hands. If you were to describe this sport to someone that doesn’t have a clue about weightlifting it would sound stressful and unappealing. “you have to dive under a heavy weight and catch it in the perfect position. and you only get three tries to do that successfully.” while this is true that is not the proper mentality come meet day. 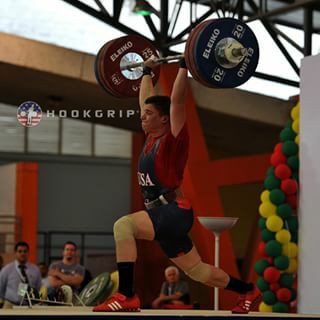 I have been a competition lifter for all of my weightlifting career. Meaning that i can comfortably open at or slightly above what i have been able to hit in training. Here are some of the things that have helped me be able to do this. Confidence. This is probably the biggest part of this article. Think of the last day you were on fire and you were in your groove and you felt like you couldn’t miss. Now, think of a time where your mind was filled with doubt when you were approaching the barbell. I promise you, you hit more lifts and lifted more weight when you had the bullet proof mentality. That is the goal mentality for competition. this will be a huge advantage if you can achieve this. The reason its so easy to have this mentality in comp is because you will feel amazing, better than ever. your fresh off a taper, your back feels good, your knees don’t hurt. you feel fast, you feel strong. when all of those things are happening then the rest is easy. you are invincible. Competition Adrenaline. This is the best part of competition. Competition adrenaline is something other worldly and no Pre Workout or any amount of caffeine can even come close to how in the zone competition adrenaline gets you. Think back, You can commonly remember lifts in training, but think back to a lift in competition. its a little harder to remember. thats because everything is a blur. you are in this zone that if you dive deep enough you become a robot. Then you let the rest do the work for you. all you have to do is use that adrenaline and stay with it and you’ll be able to do some things you didn’t know you can do. Level Head. This one is the biggest. You have tons of things being thrown at you. you have a crowd in front of the stage, you have a coach yelling your attempts at you. you have people warming up all around you, you can hear the competition stage in the background. you can hear and see all of these outside factors going on. the big thing is to keep the thoughts to a minimum. if there was a time to be legitimately stupid the time is in the warm up room. If you start thinking to much things will start to creep up on you and scare you, or make you overthink. the last thing you want when you have a simple task at hand, which is to put the bar over head, is to be thinking about 100000 other things and being scatter brained. you need the perfect blend of focus, confidence and calmness. Find what way works for you. With all of the above being said that is just the canvas for your mentality. you can make all of that look however you want. i have found that i typically can do all of this easier if i remain quiet and keep to myself. you might find that being loud and slamming bars is your way of getting in this mentality, you might also find that being happy and joking around with your coach throughout warmups is your way to go, this is where experience comes in to play. it takes time to find that but once you do that will give you even more confidence than you could’ve imagined. All of this being said understand that I am no expert in psychology, i am not a sport mentality guru. 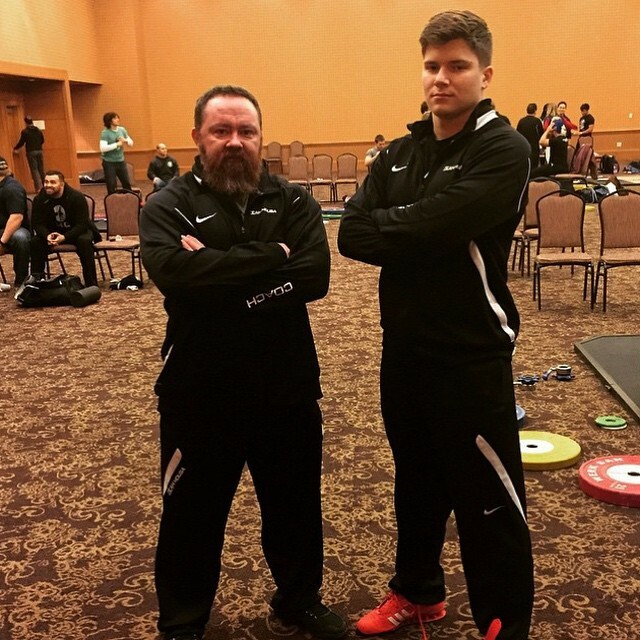 i am a weightlifter just like you, and i have found something that truly works for me and makes sense. Just ask my coach Travis Mash about me in training VS me in competition. a completely different lifter. and its all because i have figured out my way to stay focused, confident and calm. its time to find your way. go sign up for all the local meets near you especially if you are new to the sport and get that competition experience. find yourself as a competitor.